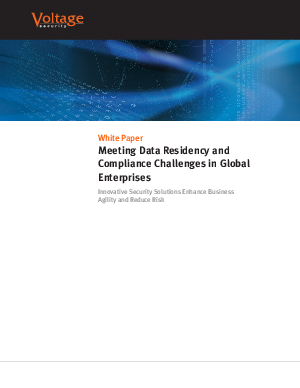 This paper examines information privacy and data residency solutions that can help multinational businesses meet their data protection goals. It focuses on U.S. interstate and federal regulations, and European Union requirements as they apply both in the EU as well as in other jurisdictions, where regulations such as the U.S. Patriot II Act mandate can create conflicting requirements. Learn more in this white paper.